Since there has been no official Turrican for a long time, the SETA has been created to list games that are similar to Turrican. That may be in gameplay, massive action, look, exploring or just the feeling. Find out which ones work for you! The list is sorted by average votes, games which are still in developement or dead are at the bottom. Very, very similar to Turrican (it´s even possible to morph to a wheel!). Looks and feels very good. It also should be mentioned that the original Metroid (NES) shall have inspired the developer(s) of Turrican! Graphically brilliant anf funny Run`n`Gun, lots of shooting, no exploring. There is also a Windows remake available, just look for "Lionheart Remake". [Tip by Christian Uceda] Great and detailled graphics, a heavy-metal-soundtrack and nice gameplay. Especially the later levels are quite big. It´s a good bit harder and more hectic then Turrican, because you start with a little gun which only does few damage - and the extra weapons´ shots are limited. Both from The Bitmap Brothers (and using the same engine), featuring excellent graphics, dozens of enemies, tons of extras and a very deep gameplay - but a lot harder than Turrican. Conversions are available for many systems, including Windows Remakes. Gigantic weapons, explosions and more bosses then normal enemies describes it quite good. Sadly it is hard as hell and very, very, linear. But beside the first level it looks great and feels a bit like Turri. No wonder - it was created by Manfred Trenz, Turrican´s creator. Especially the flight-sequences later in the game are more then worth a look. I just wonder why it was released only in Japan. Especially Megaman X quite reminds me of Turrican. Also a classic game by Core design, which got ported to many platforms. Lacks a bit in Firepower, a bit hard, but really nice with beautiful levels. [Tip and text by Benjamin Claridge] The First Samurai on the c64 and Amiga has a very similar feel to Turrican - wonderful GFX and level design, as well as a feeling of freedom and space. The enemies are plentiful and always keep you on your toes. The only thing lacking is a true weapons power-up system, but it makes up for this with a wonderful storyline and puzzles / tasks to complete. A very well made Metroidvania, with a gameflow not unlike Turrican. Lots of Exploring. 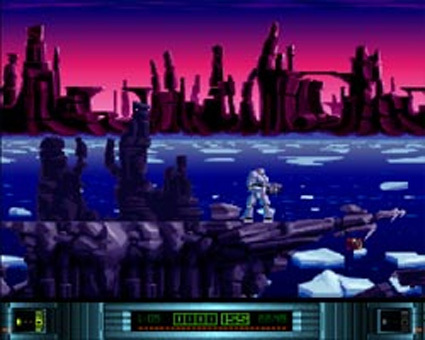 Weapons and Hero remind much of Turrican, but very linear gameplay. Even includes some Shoot-Em-Up levels! Made by NEON (this team contains Peter Thierolf, the Turrican 3-Programmer), which were once asked to make Turrican 4, this is a fast game with a very good gameplay. It features nice gfx, many parallax-layers and uses the TFMX-Soundsystem also used in Turrican. It seems a bit odd at the start (especially the story/map-mode), but later on you even may fly, if you´re good enough with your joystick. [Tip by Markus Pfeifer] Team17´s best Platformer, features huges levels with many secrets, less enemies and smaller (but original) weapon, but plays like Turrican. There´s also a special edition, in which the character uses a gun, in the original version he used boomerangs. Leave out the exploring in Turrican and you have Contra. Massive weapons, tons of enemies, but very linear gameplay. [Tip and text by Carlo Savorelli] Alisia is a sadly overlooked game, but it's truly something. Apart from the first stage, that is quite straightforward, the stages are big, not exactly huge mazes, but still plenty of hidden rooms and secret passages. At a certain point, you venture inside caverns and eventually reach the interior of a giant spacecraft, that reminded me of Turrican's final giant tower. Interesting: Her main attack really resembles Turrican's energy whip. 2d Jump´n´Run with 3d-Backgrounds, music and graphic-style quite remind of Turrican, but gameplay differs. Quite the graphical way I would wish for a modern Turrican! Even looks kind of similar, but has not quite a fluid gameplay. Quite new Turrican inspired (commercial) shooter. Nice graphics, but the sounds (at least in the demo) are cruel. Download Demo (Demo runs fine with WinUAE/Kick3.0 and WB3.1). Available for free at amigafuture.de (registration needed). Sidescrolling Shooter with (back then) innovative controls. You control the character via Keyboard and aim with mouse. Classic sidescrolling shooter by Psygnosis. Gunforce (Irem, 1991) and Gunforce 2 (Irem, 1994). 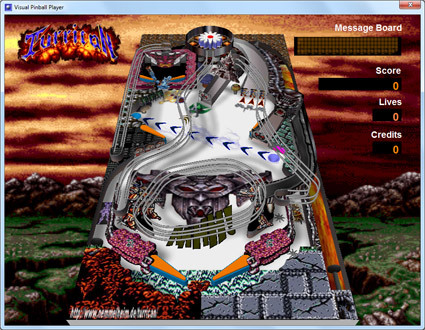 They are playable on PCs using the MAME emulator. Especially Gunforce 2 is quite similar to Metal Slug, also in the sound effects. They consist in a lot of shooting but they are "linear" (with no exploring). 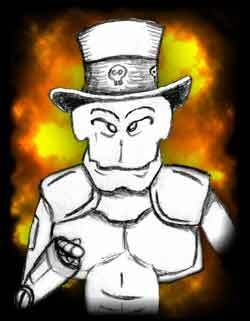 A classic Run´n´Gun, just like Contra or Metal Slug. No exploring, just shooting. An Amiga-Freeware game, mix of Pang and Asteroids featuring the Turrican-Sprite. Also available as PC-Remake. Sidescrolling fighting/shooting-game, includes a flight-level and more jump´n´ run elements in the later stages. A windows-game in Retro-Amstrad CPC 464-Style. Demo is already playable, look for "Cosmic Prison Commando Demo 1.1". 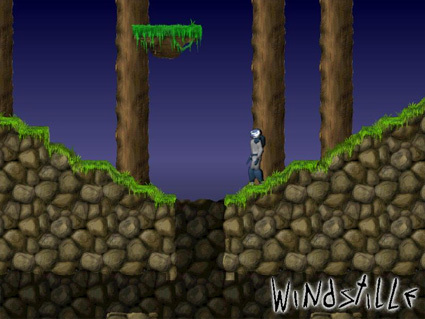 Windstille is going to become an old-school 2D site-scrolling shoot'em up game, similar to Turrican or Metroid (with probably some influence of Another World and Flashback). A good looking Turrican inspired game by unique Software with hand-pixeled AGA-graphics and multi-layer-parallax-Scrolling. The main sprite could shoot in all directions and climb wall and ceiling. Sadly never finished, but there is a playable demo left. Often announced as Turrican-Follow-Up because it was planned by Factor 5, but never released.